Comfort Inn® hotel is in a convenient location close to local points of interest including Sault College of Applied Arts & Technology, Algoma University College, Lake Superior State University, Agawa Canyon Tour Train and Kewadin Casino-Sault Ste. Marie. Located next to great shopping and dining, in the heart of uptown Sault, just minutes away from our exciting area attractions and nature’s best! Hiking, biking, cross country ski trails, and a championship gold course are all at our fingertips. 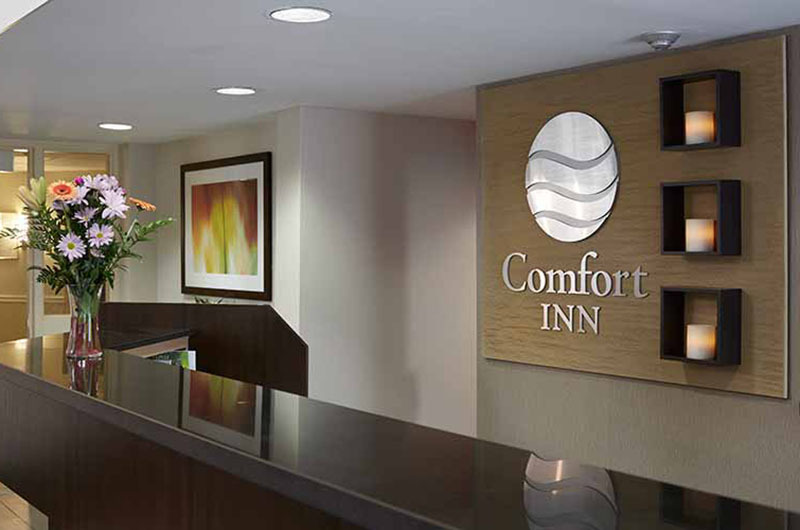 Our hotel features fine guest rooms designed for both the corporate and leisure traveler alike. All rooms are equipped with free wireless internet and movie channels. Standard in all our rooms is a fridge, coffeemaker, iron/board, along with in-room coffee and tea. Offering complimentary w/d newspaper, free local and calling card calls, and our deluxe continental breakfast.